Black Panther Discussion and Appreciation: For the Newbs: "I want to read Black Panther, where should I start?" For the Newbs: "I want to read Black Panther, where should I start?" First off, I hope you have Marvel Unlimited. 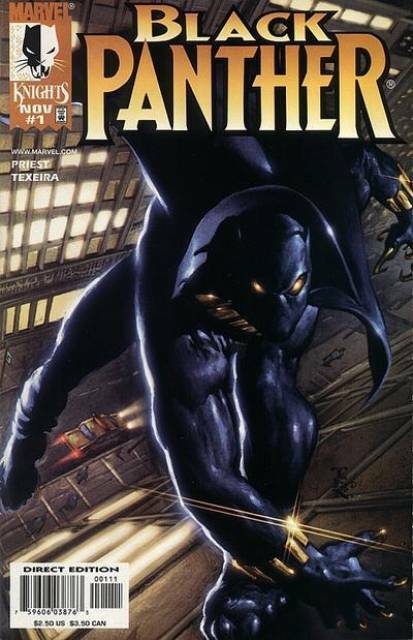 As it is the easiest way to read back issues as nearly all of Black Panther's publication history is on there. It is extremely cheap and much more affordable than buying TPBs or hunting down floppies. You can find Marvel Unlimited HERE. If you are savvy, you can find one month free codes online. Like last month it was RAND, the month before that it was Marvel Future Fight related. And if you cancel before it bills you, you can turn around and use another code. But even if you pay, it is the best deal in comics. Ok, back to Black Panther. Hudlin's Who is the Black Panther (Black Panther, vol 4, #1-6) is the easiest place to start as it is a self-contained story with no back history needed at all. It easily summarizes who T'challa is, what Wakanda is, and what being "Black Panther" means. It is also easily found in TPB on Amazon, Books-A-Million, Barnes and Noble, and likely your local library as well. And hell, if you actually do not want to read a comic, Who is the Black Panther can also be found in motion comic, cartoon form. Another option is Priest's The Client (Black Panther, vol 3, #1-6). Priest's run is generally considered the best and definitive run of the character. 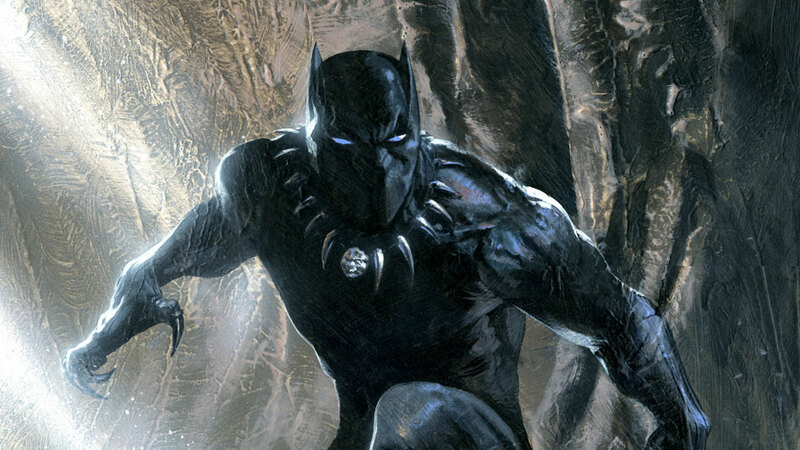 It re-invented T'challa for the modern era and became the general template for Black Panther for future stories. The trade is kinda hard to find but Amazon should have it. It is also part of the Complete Collection Volume 1 if you want to to go all in. 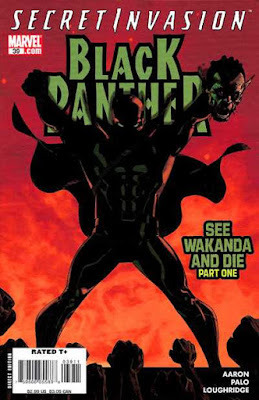 The third option is See Wakanda and Die (Black Panther, vol 4, #39-41) written by Aaron. This is a tie in to the Secret Wars event but the story is rather self contained. It is a war story and really shows off T'challa's brain, martial arts ability, combat mind, and general bad assery of Black Panther and Wakanda. You might be able to find a trade on Amazon. If any of the three above peak your interest in the Black Panther, then the next course of action is to jump to Priest's run (Black Panther Volume 3). 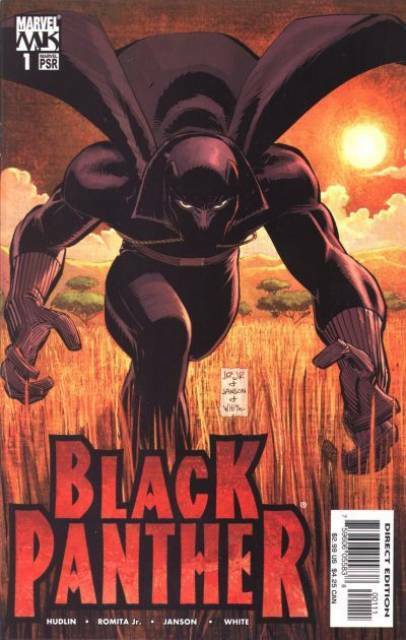 It is the definitive run of the character and generally is considered the best run by most Black Panther fans. His whole run was finally collected last year and can be found rather easily now on Amazon or Books-A-Million. One of the gifts and curses about Black Panther is each run of his is very, very different. So, if you do not like Priest's run (volume 3), you can try Hudlin's (volume 4). If you want something very different, you can read Liss's run (Black Panther: Man without Fear and Black Panther: Most Dangerous Man Alive). If you want to go old school, you can read Panther's Rage (Jungle Action #6-18). Now, I haven't mentioned the current run (volume 6) by Coates at all. And it has nothing to do with the my thoughts on the quality of the book. It has everything to do with the fact it relies heavily on having read Hickman's New Avengers, Time Runs Out, and Secret War. Without that background, many things in the book wouldn't make any sense. The book simply isn't new reader friendly. And well, if you wanna go nuts, check out the complete list of every T'challa appearance ever right over HERE. Happy reading and welcome to the best character at Marvel.